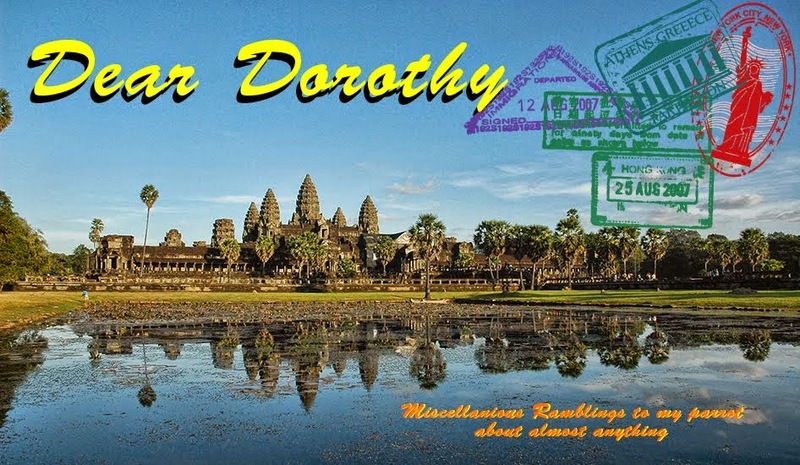 Dear Dorothy: Where to? Quo Vadis? Donde Vas? Where to? Quo Vadis? Donde Vas? Where to next? Always a big decision. It's a big world out there and I've only sipped at it. Back to places I love, and hope to recapture the feeling? Back to places I hate, and hope to find out I was wrong? How about some family history? Maybe a place I avoided 50 years ago? Perhaps a place that was never ever under consideration? Someplace with feather comforters and meals I recognize? How about bugs in the bedroom and food that I don't want to know the ingredients of? I haven't been out of the country in over a year. Last trip in 2017 was to revisit Myanmar. One of those places that I loved previously, only to find that it had evolved in absence. 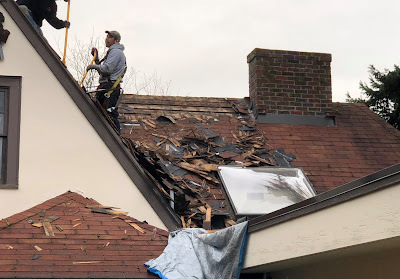 My 2018 trip was a new roof. That is kind of important, since rain drops in the bedroom distract me from sleeping well. I did get to meet people from a different country during the construction, but that really wasn't the same as going someplace else. I thought about going back to Egypt. I love the history, have a few people that I stay in touch with and still have places to see that are new to me. Laos was also in the thought process. I like the food of Southeast Asia, the people are great hosts, the culture is new and different. Europe is a possibility. I haven't been there in over 20 years or explored it in any depth in 50. Fifty years ago, Europe was a mere 20 years post World War II and still getting back on it's feet. India, I disliked the crush of people the first time, and detested the crush of people the second time. In 1944, my father at 19 years old was nose gunner on a bomber. After several missions over enemy territory, and a few very distinguished medals for bravery he and his crew were shot down over what is now Slovokia. He and most of the crew left their mortally wounded aircraft successfully, though three of the men did not and were killed. My father and surviving crew spent the remainder of the war as prisoners of war. The remains of two of the three crew members were recovered by the local populace and given proper burials (later repatriated and buried in a U.S. military cementery). Where the bulk of the aircraft crashed, in 1995 at the spot where the pilot's body was found a monument was made to the crew by the residents in the area. Hmm.. that could be a destination this year. Maybe fly to Vienna, rent a bike and take a week or so and bike along the Danube to Budapest, making a side trip to the memorial along the way. Think, think, think .. no, not the bike. Not because of the effort, but because I'd spend almost all my time going from A to B and no exploring. Okay, rent a car and do the same trip. That's a possibility. Then a friend said - "Doesen't sound like any of this is up to your usual off the beaten track rough tough journey!" Well I guess Austria, Slovokia and Hungary are off the table in that case. I can resist anything but temptation and peer pressure. Now what? My dentist was sharing pictures of a packaged tour that they went on to Peru. Hmm.. Peru? Not ten time zones away, that's a plus. Food that I hadn't tasted before (Guinea Pig). Altitude over Ten thousand feet in some places. A chance of catching Dysentery, Malaria or Dengue Fever ? Sounds like my kind of place ! .. and .. they have parrots ! Yes, real flying in the sky kind of parrots. I traded in a pile of air miles and a few Benjamins and had an airline ticket from Seattle to Lima, Peru for three weeks in April. Some hotel points and a few more Benjamins and I had a couple days in Lima. Then a whoop stack of Bennys (by now he and I were getting to know each other way, way too well) and I had Five days and four nights of luxury on a tributary of the Amazon, near two clay licks where parrots frequently fly to for needed minerals that is missing from their diet. After that ? Who knows. I have a couple ideas. Machu Picchu, the Nazca lines, Penguins are all possibilities. Condors and Easter, maybe. I don't know, I guess we'll see.